Hyperspace Jump: Mobile World Congress 2015, Day One: SAMSUNG, LG, HTC, WHY? Commentary on consumer technology faster than the speed of light! Mobile World Congress 2015, Day One: SAMSUNG, LG, HTC, WHY? Today, Sammy decided to announce the Galaxy S6 and, for the first time, a sister device known as the S6 Edge. Other blogs have been reporting leaks about the new devices for quite some time and supposed renders. Well, today, we got a look at the two. And I'm none the more PO'ed. Let's start off with the S6 proper. While Samsung did good with increasing the base storage capacity of its flagship device in an all-metal chassis, it took away two features that set it apart from Apple: removable battery and microSD card slot. I'm not so mad about the non-removable battery, but with the loss of the microSD card slot, I'm not exactly happy. I have a microSD card that I've used for two phones now for photos and videos, but now I'll have to upload them elsewhere since more phones and tablets are eliminating the slots needed for them. RIP microSD. I knew you and loved you so well. To make up for this, however, S6 owners get two years from of Microsoft's OneDrive service, a total of 115 GB. Not too shabby. Samsung did pare down its TouchWiz user interface to work with Android 5.0 Lollipop and cut out some of the included apps, keeping ones like S Health, Milk Music and Video; and S Voice. To get more, you'll navigate to a shortcut on your phone that will let you download more from Galaxy Essentials and Galaxy Gifts. In other words, a massive guilt-trip to make you download things like the Flesky keyboard app. Samsung also, after very obviously acquiring Apple Pay competitor LoopPay, also announced its, wait for it, competitor to Apple Pay, known as, drumroll please, Samsung Pay. Aside from the obvious lack of creativity in the Software Naming department, Samsung Pay will be more open than Apple Pay in terms of where it can be used. In other news, we've had that since Google Wallet but literally nobody caught on to it because it wasn't *Apple*. But that's just the software side of things. Samsung also bumped up its cameras: 5 megapixel selfie camera facing you, 16 megapixel shooter facing away with Optical Image Stabilization (HALLELUJAH) with the heart monitor nearby for improved selfies and making sure you aren't a technologically-advanced zombie or otherwise undead hellion. The fingerprint sensor has been improved, so that you don't swipe your finger, but rather rest in on the home button. Instead of buying a special cover for it, the S6 now has included wireless charging into it. Speaking of charging, the S6 will also feature its own quick-charging standard with cable charging, meaning you'll get about 30% of battery life in 30 minutes. That is possible with one major bombshell: the drop of Qualcomm's Snapdragon mobile processor for Samsung's own Exynos processor, largely untested prior save a few non-U.S. markets. How this plays out means either Samsung hits it right with improved in-house manufacturing and superior performance, or it means a total flop in an attempt to mimic Apple. Oh, by the way, no waterproofing or dustproofing. Just in case you are accident-prone. Much of the same story is said for the S6 Edge, but it takes a different approach than it's big-little brother, the Note Edge. The S6 Edge has two curves on the edges of the screen. This is scaled back from what the Note Edge could do, but still features some cool tricks, like showing favorite contacts and more customization. The dual edges also mean left-handed people can finally use the tricks that were previously limited with the Note Edge's single edge. Protective cases are going to be a real pain, though. Verdict: Samsung is still in a love-hate relationship with me and I'm wondering what the blazes they're doing over there. 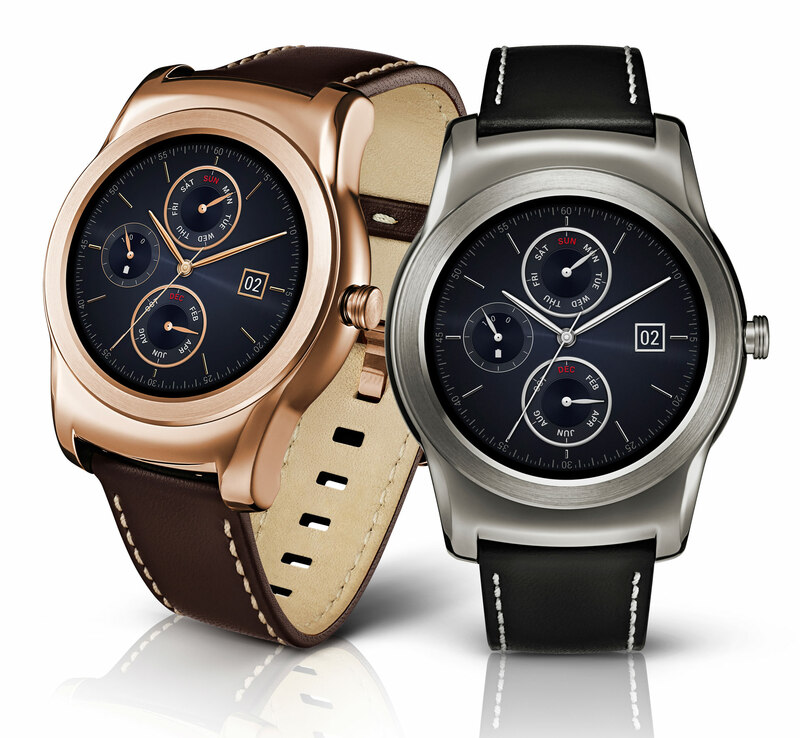 Moving right along the LG's announcement of the two smartwatches it has to offer. LG is going eh still with Android Wear, taking a huge risk with WebOS, and still makes me mad with "standalone" smartwatches. Android Wear has seen little improvement thus far: no capability to make and take calls on your wrist, steep learning curve with the OS itself, but at least the LG Watch Urbane looks sharp, right? All I can say about the Urbane is that it's an even more sick-looking version of the G Watch R and is just as limited in function. Moving along to the Watch Urbane LTE. This watch I actually mostly like: makes and takes calls and texts, very nice battery, upscale looks. It's one way LG is bringing back the WebOS platform originally created by ill-fated company Palm (LG used it in its TVs and it's been very useful). LG is using it in the Urbane LTE, but uses this LG Wearable Platform Operating System as a convoluted name. I'm sticking with WebOS. Anywho, it looks great and seems to run well. Now the catch: like Samsung's Gear S, it works independently of your phone. 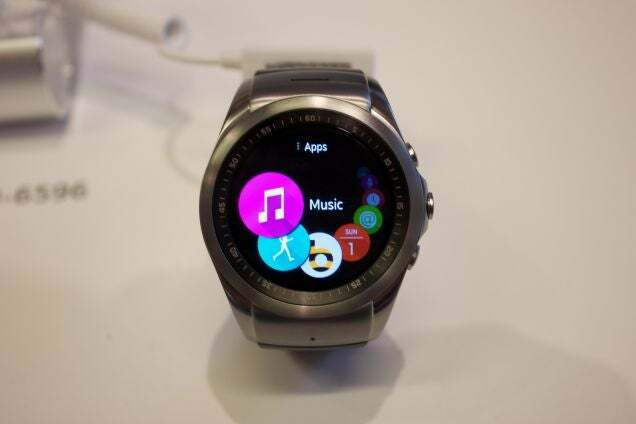 In fact, it's the first smartwatch that will be able to access an LTE mobile network. Do. you. people. not. understand. This means that the watch will have its own phone number. It can do all sorts of things on its own. But that's not what everyone wants. We still have our phones for, well, PHONE CALLS AND TEXT MESSAGES. We have mobile games and apps for news. None of that can apply to the Urbane LTE. And while I do appreciate that it will work with all Android phones (side-eye of death at Samsung's Tizen smartwatch OS), LG will face a limited development platform for its WebOS special blend. Verdict: If only LG read my blog. Finally, we get to HTC's announcement of an actually pretty-cool fitness band and a rehash of a smartphone that uses an even more rehashed interface that I absolutely despise. HTC may have more pixels, virtual reality, and a cool fitness band, but Sense 7.0 still ruins everything. HTC has done a lot to make everything simpler on its end for Android 5.0 lollipop, but once upon a time about two years ago, I chose Samsung over HTC because I hated the way that the Sense UI was being designed, especially with the tacked-on "Blinkfeed" page that I didn't want because I love Flipboard too much and because it only slowed down the phone. HTC didn't exactly do much in the software department with the One M9, so I'm skipping over that. But HTC did improve by introducing a 20 megapixel camera on the rear of the M9 and saving it's Ultrapixel camera for the selfie shooter, focusing on low-light situations (where it actually, you know, makes sense). So four for you, HTC, you go HTC. 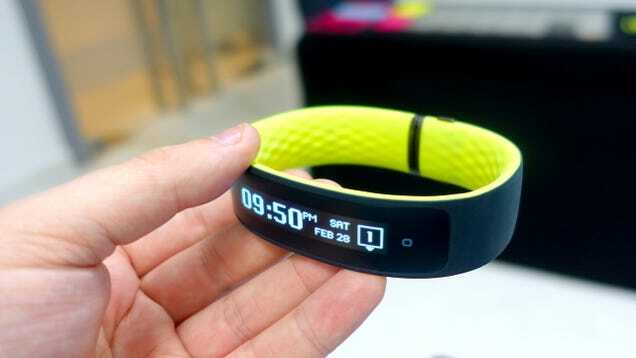 Next, the HTC Grip is a fitness band that was introduced today as a partnership with Under Armor. U.S.-only and priced at $200, it features a curved-OLED touchscreen, shows notifications and messages, including call notifications, syncs with MyFitnessPal and Under Armor Record apps, and it has built-in GPS to keep track of where you run. It doesn't have heart rate monitoring, but it is a sure competitor in the smart fitness band market. Not bad, HTC. Now we don't half Half-Life 3 confirmed (yet), but HTC and Valve announced the HTC Vive, a PC accessory that brings virtual reality gaming back into the conversation as a whole. The developer edition releases this spring with a consumer edition supposedly ready by the holidays. What makes the Vive particularly stand out is that it isn't a phone accessory, but an add-on for PC gamers. It also will feature full-room VR, meaning you can walk around objects in-game while walking in real life. Just don't hurt your knee or break your PC. Hopefully there's a workaround for that. The Vive isn't just about gaming. Partnerships with content providers like HBO and Lion's Gate mean streaming content specialized for your face, so you can watch the Red Wedding all over again while crying over the death of your favorite characters in Game of Thrones (P.S. : the Lannisters send their regards). Verdict: HTC still going bland with phones, but the Grip and Vive sure do look fun. -HTC, at least you did a few things right. Don't have Google+? Get Email Updates!